A passionate Lebanese baker approached me to co-create a restaurant brand that introduces the traditional Manousheh to New York City. As a lesser known food item in Lebanese cuisine, we set out to tell the story of Beirut through the brand. 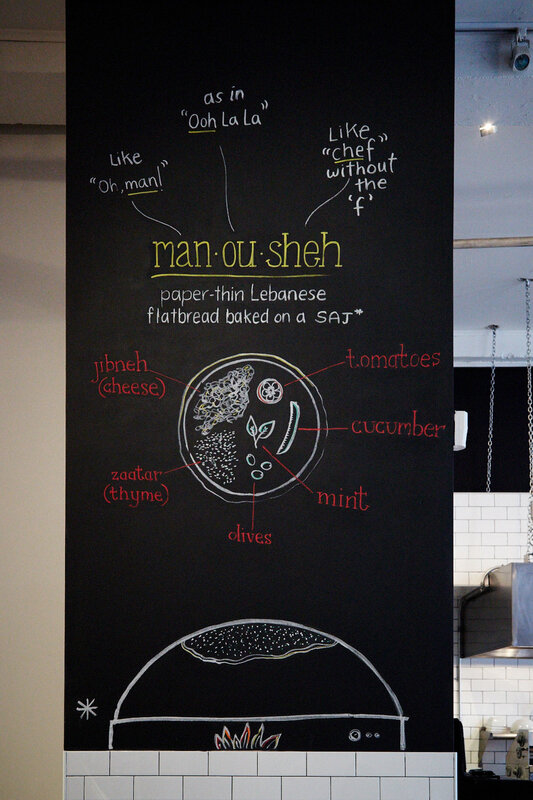 From tagline to graphics, the story of Manousheh was born out of a marriage of the cities of Beirut and New York. The focus has always been on authenticity- whether it be decisions around naming items on the menu, to teaching customers how to pronounce Manousheh, to offering Lebanese expats employment opportunities at the shop. After its launch 4 years ago, the Manousheh brand has become a staple in New York City, among both New Yorkers and expat Lebanese.